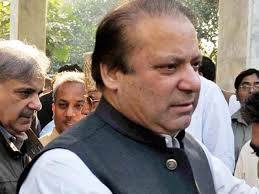 Prime Minister Muhammad Nawaz Sharif will inaugurate the Gojra-Shorkot section of Faisalabad-Multan Motorway, M-4 on Monday. This 62 kilometers section of M-4 is another milestone in upgrading and decongesting country’s overburdened transport infrastructure. Besides, it will boost trade and travel while reducing cost and time from textile producing hub Faisalabad in central Punjab to Multan, which is a major trade centre in Southern Punjab. M-4 will open up new opportunities for the residents of Faisalabad, Jhang, Toba Tek Singh and Shorkot by providing faster access to bigger markets. M-4 Section-1 ‘Faisalabad-Gojra’ 58 kilometers has already been completed with the assistance of Asian Development Bank and open to traffic since March 2015. The M-4 will upgrade the country’s vital north-south road network for promotion of economic growth, job creation and regional connectivity. It will extend the already completed M-1, M-2 and M-3 motorways southwards and shorten the distance between Multan and twin cities of Islamabad-Rawalpindi in the north. The M-4 is also a step towards in positioning Pakistan to act as a transit artery for goods moving between the port cities of Karachi and Gwadar in the south to Torkham on the northern border with Afghanistan via the country’s major business and population centers. It will eventually link ports with the land-locked regions of Central Asia.